Improve Your Email Marketing - Paul Smith - Blog. When email marketing is carried out effectively, it proves to be the most effective tool for one-to-one communication with customers, leads and subscribers. However, the inbox is a very busy space and standing out from the crowd can be difficult to achieve. 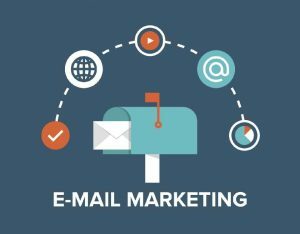 So what steps can you take to send better emails and to improve your email marketing?Use an effective opt-in strategyOne of the requirements of an effective email marketing campaign is to have a target list of subscribers. It’s certainly not advisable to buy lists of addresses, or you can definitely expect dreadful open rates against your investment and chances are your business will be flagged as a spammer on your first mail out. Offer a discount code or a free download to any customers who sign up, or consider a content upgrade, where they receive further, in-depth information by signing up. It’s not only important to have an enormous list of emails, the challenge is to have customers open these emails and connect with the content. Your subject lines have great importance on your open rates. Keep them short, (around 25-30 characters with no CAPS) focused and compelling and don’t include spam words like urgent, free or cash.The frequency you also send you emails has an impact on statistics. General consensus recommends a weekly email for best impact, with click-through-rates confirming that the middle of the week is probably most beneficial. I tend to stick to Thursday as I see the best open rates across a lot of sectors on this day.Ensure you have quality contentIf you’re not mailing out engaging and relevant content to your customers, it won’t matter if they open the email or not. Make sure that your email content is a balance of intriguing information, visually appealing and with only a small proportion of promotional material. Remember that in the majority, subscribers appreciate a concise message with images, rather than lots of text. You are missing out on an enormous segment of your market if you don’t optimise your email campaign for mobiles. The biggest turn off for people accessing emails on mobile is the inability to read messages on the small screen that have not been formatted for mobiles. Your email messages should load swiftly and be responsive so that they can easily be viewed on tablets and smartphones.Finally, one last point, remember that email marketing is all about quality and not necessarily quantity. Frustrated by your email marketing results? Call me and we’ll figure it out.